Ah, brunch. Where families and zombified partiers congregate around what is typically a very egg, dairy, and meat-heavy meal to bask in the slower pace of a weekend or to recover from a late night out. 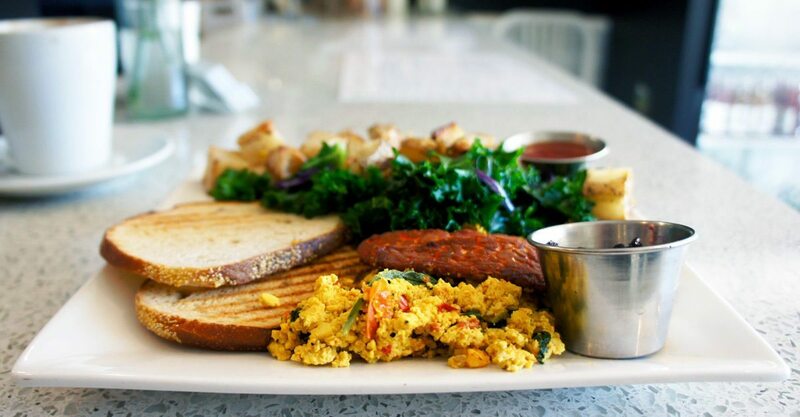 Despite the popularity of buttery hollandaise sauce and crispy bacon, there are more options than ever in Ottawa for those seeking a plant-based brunch. 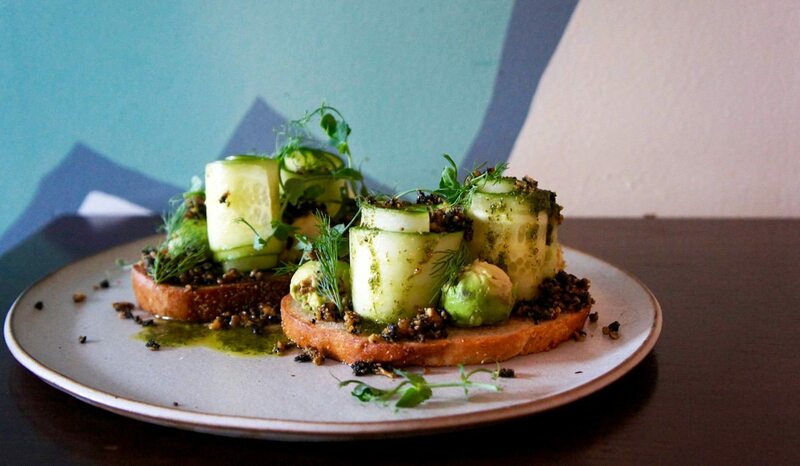 From vegan versions of typical brunch favourites to inventive plant-based cuisine that doesn’t try to imitate, there’s plenty to choose from. As a testament to chef Briana Kim’s vegan creativity, she won this year’s Gold Medal Plates competition in Ottawa for a simple, but complex mushroom-based dish. It was the first time a vegan dish had won. 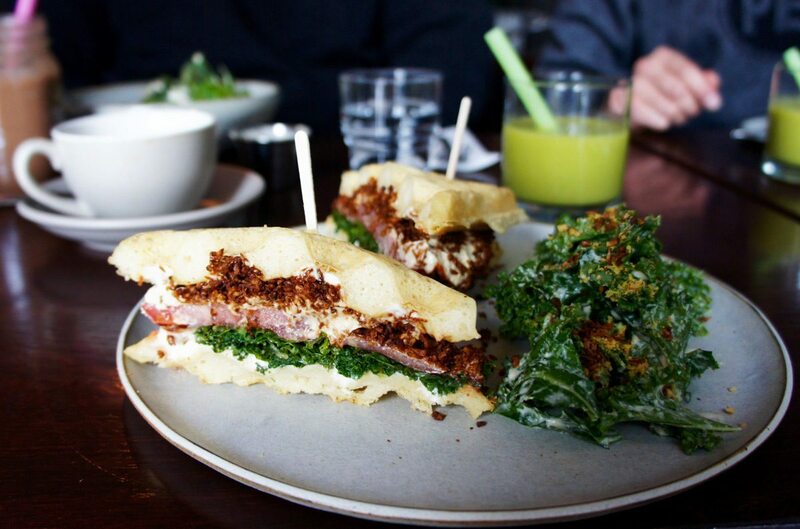 And even though brunches tend to be more casual affairs, expect the same wizardry when it comes to breakfast. The menu is inspired by seasonal ingredients, with some items kept throughout the year, such as the smokey coconut bacon BLT and structurally impressive avocado toasts. Brunch desserts are also not to be missed. 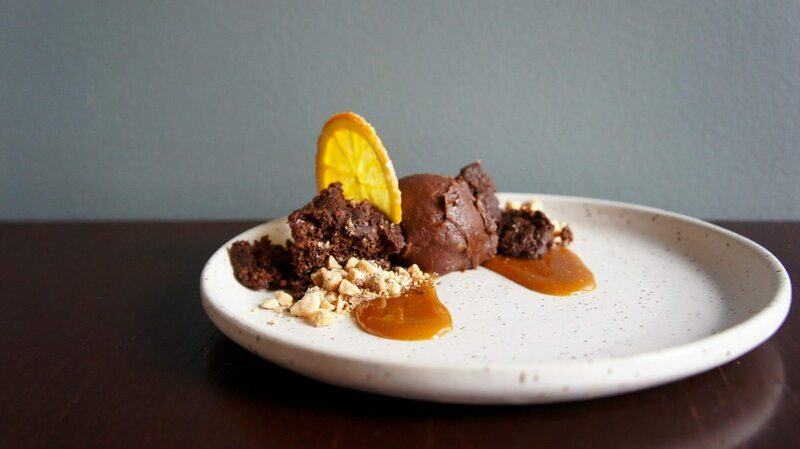 A recent highlight was a dish including chocolate lavender fudge, onion chocolate cake, apple butter caramel and dehydrated orange. 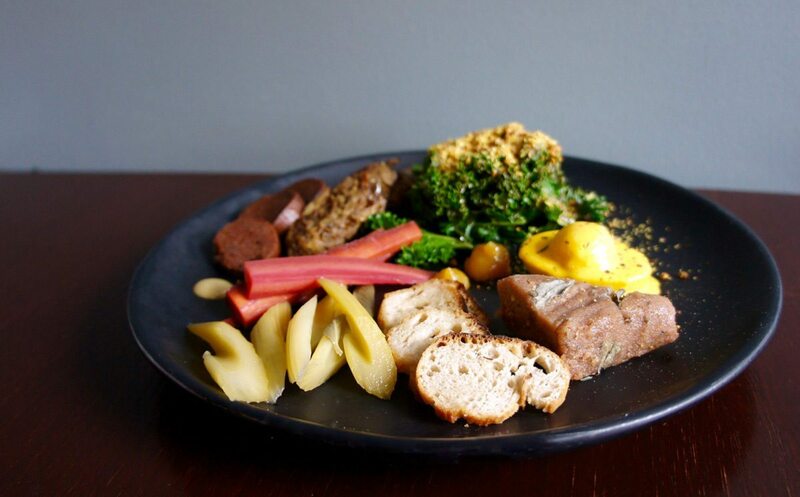 Kim says it isn’t difficult to come up with a plant-based brunch, “it’s always a fun process to create flavours and textures that are rich and satisfying with vegetables.” The devilled egg on the breakfast charcuterie plate, for example, is made with an almond milk base, a potato yolk, and is accompanied by a carrot hollandaise sauce. 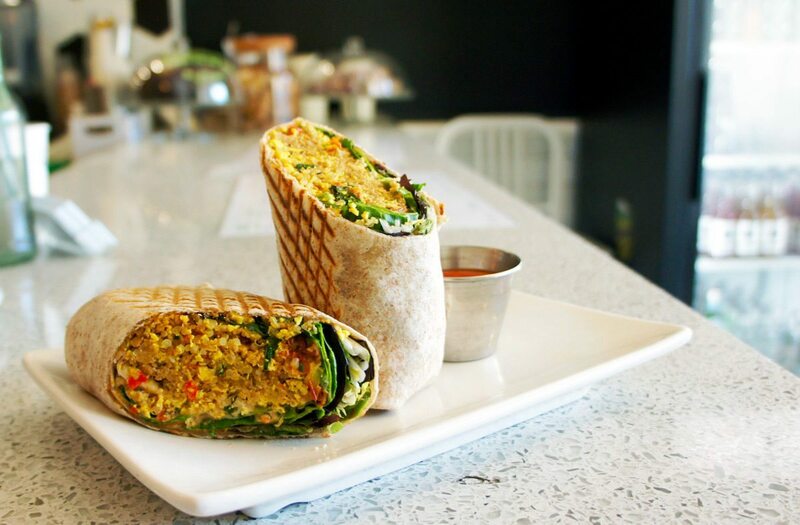 With a third restaurant opening in Kanata later this year, the eponymous yogi-foodie-restaurant is a popular go-to for vegetarian and vegan options. 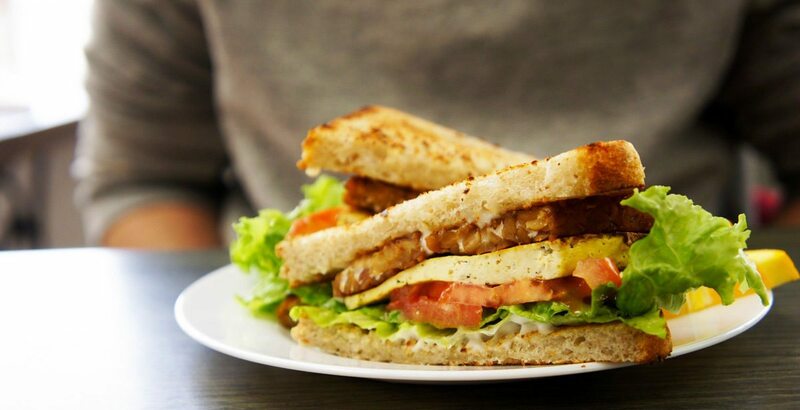 Choose from a plethora of smoothies (in a glass or amped up in bowl-form) and juices, or enjoy solids like their big Breakfast Wrap which includes tempeh sausage scramble, tofu scramble, quinoa, and coconut bacon along with some veggies, or the Standard, a plate full of basic vegan goodness with tofu scramble, heaps of home fries, tempeh bacon, sautéed kale, and toast. Tucked away in a business park in Kanata, Grow Your Roots serves lunch and takeaway as well as catering throughout the week, but sees its busiest crowds for weekend breakfast and brunch. “I am always looking to recreate vegan versions of the classic and favourite dishes,” owner Melanie Bouden explains, “my goal is to show people you can still enjoy your favourites without the cruelty involved of animal products and by-products.” Replicating typical brunch dishes simply requires some imagination with a little trial and error, she says. The first step is determining the best plant-based substitute for the non-vegan dish. Recreating the flavours is the fun part. 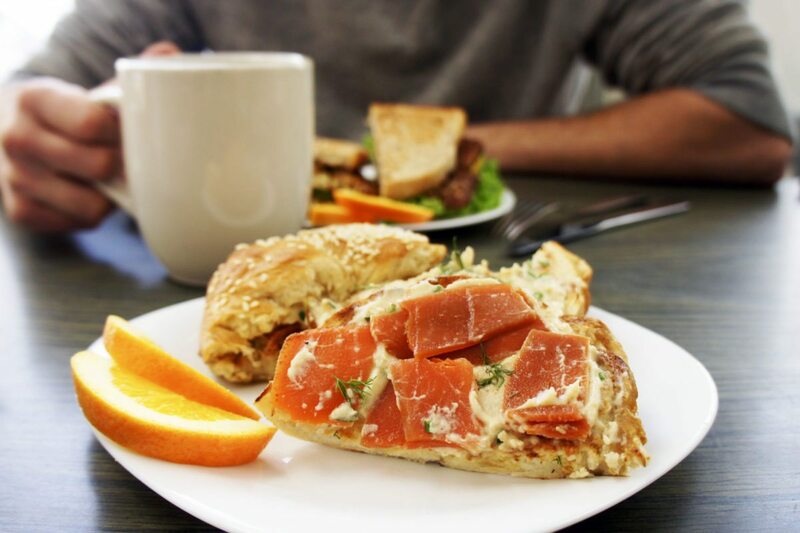 The Saturday Breakfast menu includes things like a Lox Bagel – a vegan sesame bagel, with schmear of lemon chive cream cheese, and carrot lox, while a Sunday Brunch favourite is the Tofu Eggs Benny. One Last Thought — “Never settle” for “bad oatmeal” is advice Melanie gives for brunch at home and she applies the same principle for eating out: offerings at these vegan restaurants should show folks that “plant-based brunch” doesn’t have to mean making a culinary sacrifice. And besides, mimosas are always vegan.